Reading this mega-intelligent, earth rattling, human imperfections, adventure demonstrates how a truly gifted author can engulf the reader in advanced quantum physics in an exciting and accessible manner. A lesser writer would have lost his audience but for the pure imagination of this fascinating story built on science, action, mayhem and hominid (!) drama. Zinging back and forth in time on strings more tenuous than rubber bands, this story jump starts all manner of possibilities for mankind’s abilities, past and future, while keeping the reader grounded and fascinated. Only those in the “Know” are coming to realize just how far-reaching and desperate every action can affect the possible destruction of earth, each vary in abilities and quickly become so much more than one dimensional characters. People are flawed, evil is personified by one of the most insidiously Bondesque villains ever and the fear – is - real. 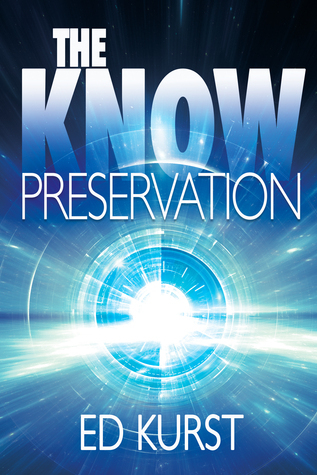 Sign into Goodreads to see if any of your friends have read Preservation.